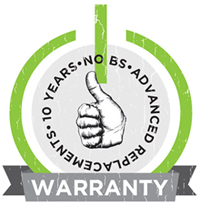 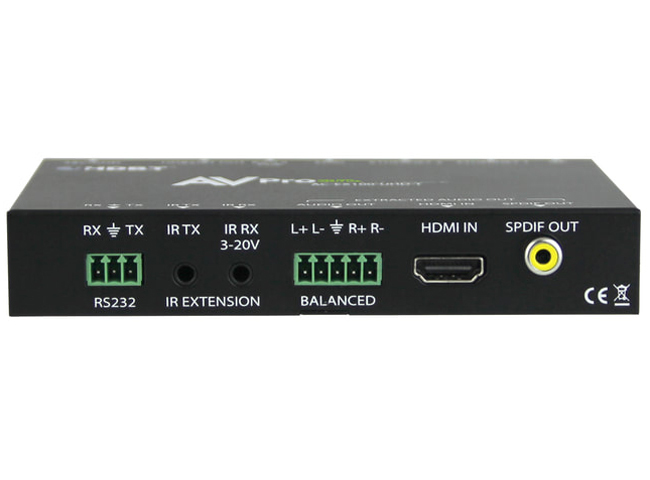 AVPro Edge AC-EX100-UHD-T 100M HDBaseT Extender (Transmitter) with RS-232/IR/Audio Extraction is a 100m HDBaseT Tx/Rx with RS-232, IR, Ethernet, Audio Extraction and EDID Management. 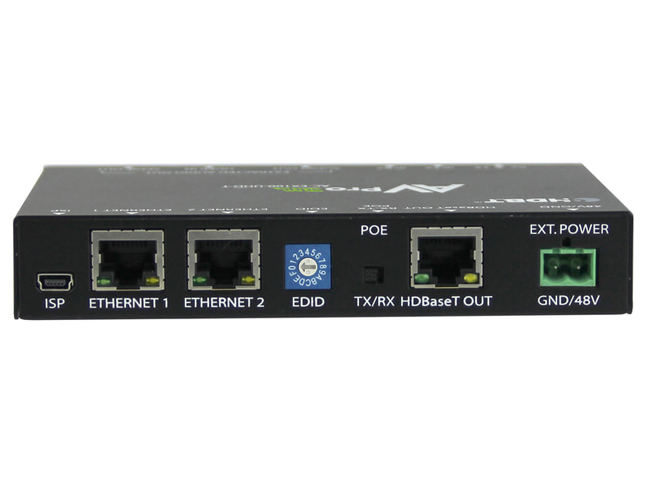 AUDIO EXTRACTION: The Tx on the pair had audio outputs for PCM audio - You have balanced 2-channel and SPDIF outputs to run audio directly into a local AVR or even more common, use the 2-channel audio to go into a distributed audio amplifier/matrix. 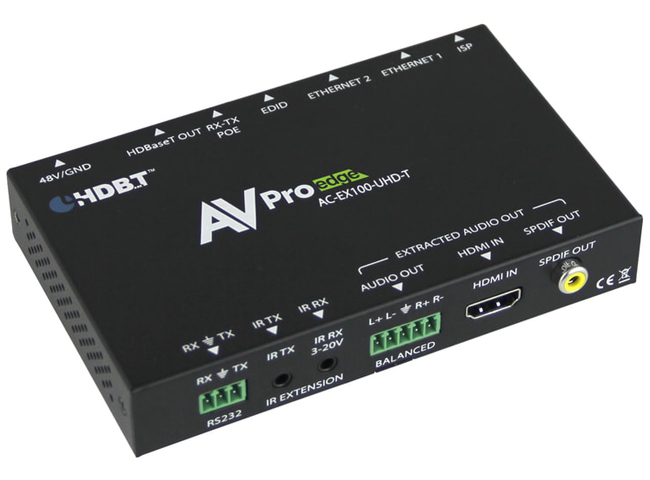 Why not buy this AVPro Edge AC-EX100-UHD-T 100M HDBaseT Extender (Transmitter) with RS-232/IR/Audio Extraction today?